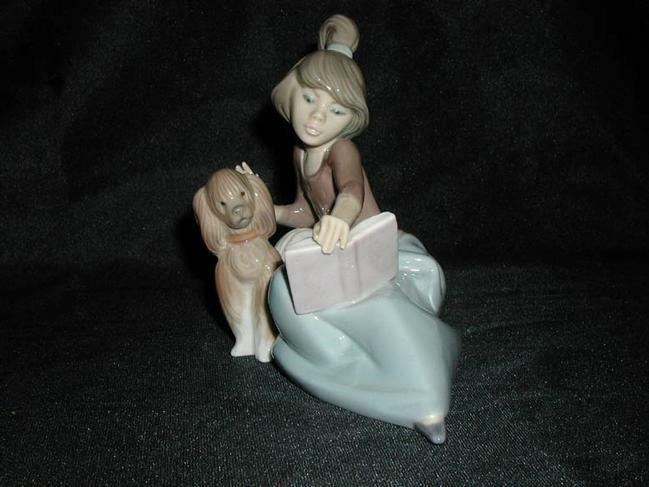 Lladro Figurine #5475 A Lesson Shared -- Lovely figurine of a girl reading a book to her dog. Measures 6" tall and was retired in 1997. This figurine is in perfect condition with no cracks, chips, breaks or repairs. 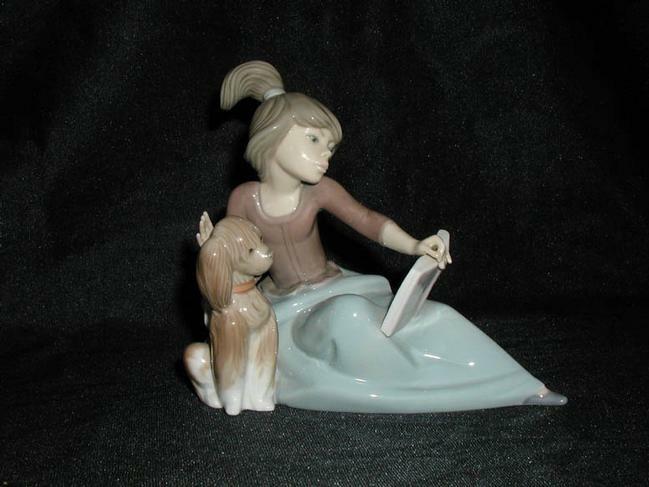 Lovely figurine of a girl reading a book to her dog. Measures 6" tall and was retired in 1997. This figurine is in perfect condition with no cracks, chips, breaks or repairs.